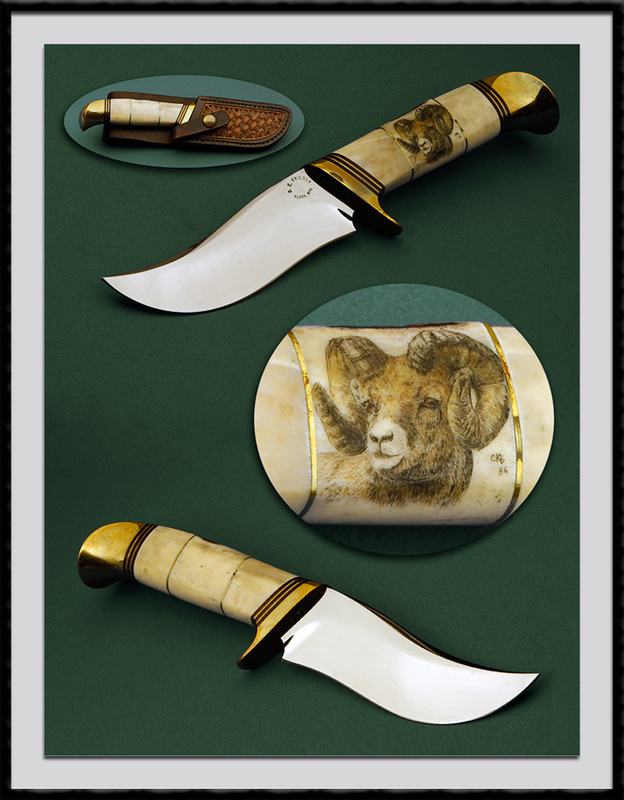 American Knife Guild member, Dennis Friedly crafted this Recurved Hunter. Mirror polished 440C blade steel, BL = 4 1/4", OAL = 9 1/4", Brass fittings, Polished Long Horn stacked handle accented by Brass spacers. Scrim of a Long Horn Sheep by CKB. Looks to be 1986. Condition is Mint. Comes with the Custom Tooled Leather Sheath pictured.